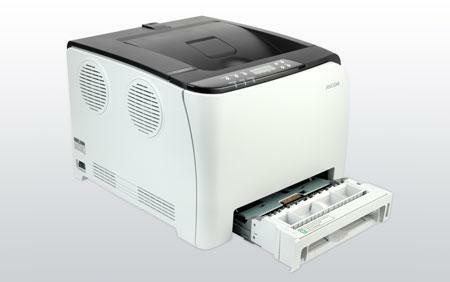 Everyone can enjoy high quality colour with the RICOH SP C250DN printer. This small footprint device is attractively priced to suit home workers and small businesses. With fast print speeds and no-compromise functionality, it is also perfect for busy workgroups. Automatic double-sided printing, network and WiFi connectivity come as a standard configuration. In addition, RICOH SP C250DN now even comes with print support for tablets and smartphones. It brings vibrant colour and versatility to everyone through exceptional performance. 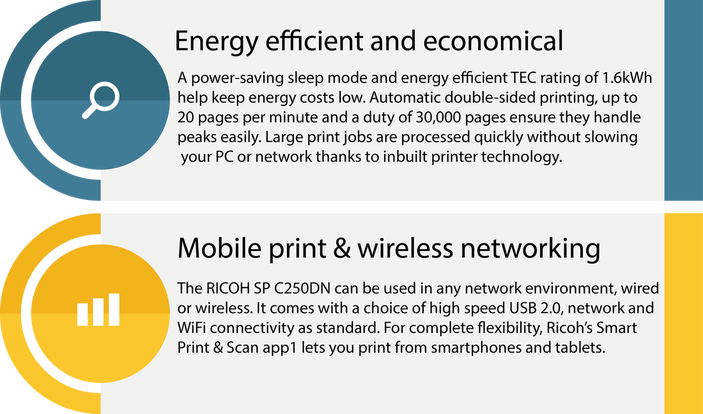 Effortless printing with Ricoh Smart Device Print & Scan mobile print app. Eco compliant Energy Star 2.0 accreditation.